The Halfway Strategy Every Educator Needs! Happy halfway mark Excellent and Exhausted Educators! What was once a fresh start of a new school year, is now halfway over. (Did I hear an AMEN?!) I have yet to hear one educator say they were not ready for their Christmas break! Those of us who are educators, know exactly why! 🙂 Before you begin your break, there are a few suggestions I want to share, that I think every educator needs. Hearing this automatically made me realize two things. The first thing was how necessary halftime is for a team that’s doing well AND a team that’s not doing well at all. The second thing I realized was how this same concept is also true for educators and teaching! Just like in football, teachers have two halves to perform, only we call them semesters. Each half (semester) is divided by a halftime break which we call Christmas break. Just like football players need their halftime to break up both halves, teachers NEED their halfway break to break up the semesters! What you do with your break ultimately decides how the remaining half of your year will go. 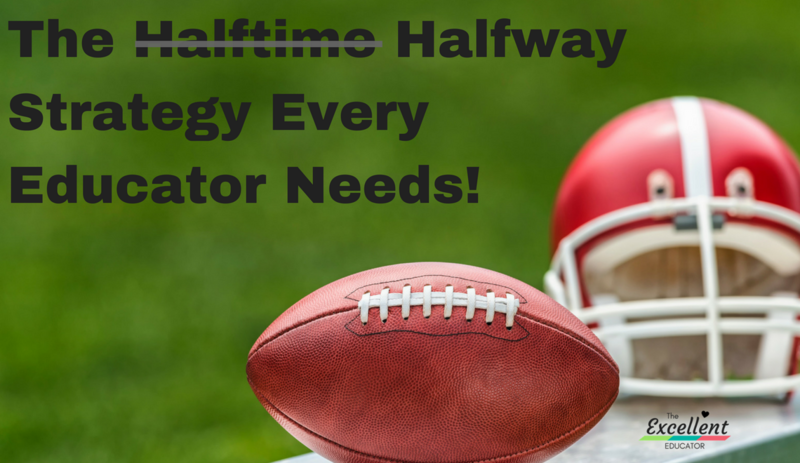 You need a good halfway strategy and I have just the formula for you! A good educator halfway strategy involves following what I call the 4 R’s. Recoup, Review. Redo. Refine. The first part of an effective halfway strategy is to recoup. The definition for recoup is to regain something that was lost or expended. Being in education, and especially being in the classroom, you have your fair share of losing things such as your patience, your sleep, your “you time”, your evenings, and some days your mind! 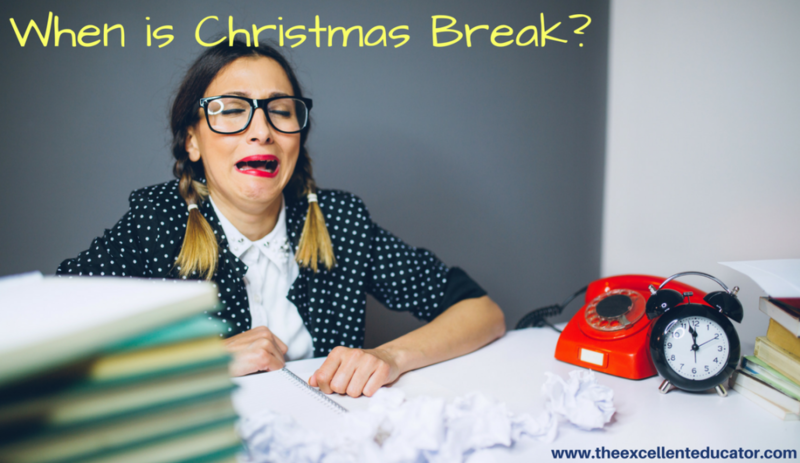 Christmas break is the time to recoup and regain any and everything you lost the first part of the year (this includes your last nerve you lost). It is impossible to go into a second half of the year and do your best when you have not recuperated and rested! The next R in your halfway strategy is to review. If you’ve had a great first half of the school year, you need to review what has been going well so you can plan to finish the second semester equally as strong. If you’ve had a tough first semester you also need plan before starting the next half of the year, so you can have a better second half than you did the first. You may be thinking, there are some things that you do well and some things that you want to work on. This review strategy is for you too! No matter what your situation, you have to reflect and do an honest review of your year thus far. You spend so much time assessing your students, now it’s time to shift your assessment focus for just a little while to your daily practice and you. Here are a few reflection questions to get you started with your review. How are things going in the classroom? What things are going well? How are things going with me personally? How am I managing my workload? How am I neglecting myself or things I want to do? The review part of your strategy is all about reflection before the next stage. I am sure so much has happened between the start of school to now so there may things that you might remember and some things you may have forgot. If you are a person who journals, writing out your reflections could be helpful for the next part of the halfway strategy. If you are more of an electronic person, try typing your reflections in a note on your phone or tablet. The third R in your halfway strategy is to decide on what you want to redo. By redo, I mean what do you want to do again the same way? What did you succeed at that should happen again second semester? Anything from your review stage that you did well, is what you want to set goals to redo. Even if you feel like you had a terrible first half of the year, I am willing to bet there is something that you did well – even if it was just surviving. 🙂 Too often things that we feel we didn’t do well, will overshadow what we did do well. No matter how small it may seem, decide on what you want to redo. It could be redoing the way you maintained communication with parents or redoing the way you built a positive class climate climate. By implementing each stage of this halfway strategy I described, you will be equipped with what you need to plan a great second semester as well as a great new start to a new calendar year!